Send a basket of Florida springtime sweets - Honey Tangerines. These golden llttle beauties are the perfect size, great for snacking. When the fruit is all gone, the basket is a handy keepsake too! Our Deluxe version (shown) includes Orange Blossom Honey and Chocolate Amaretto Pecans. Sign up to be notified when Honey Bunny is in season. 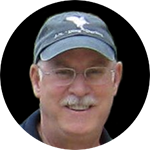 The Honey Bunny Basket is available February to March to the lower 48 US states and Eastern Canada. The Deluxe version is not available to Arizona, California, Lousiana and Texas due to USDA regulations. 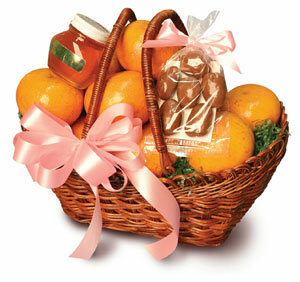 The Honey Bunny Basket includes Honey Tangerines in a two-handled small fern shopper basket. The deluxe version adds Orange Blossom Honey and Chocolate Amaretto Pecans. Available to: U.S. and eastern Canada.